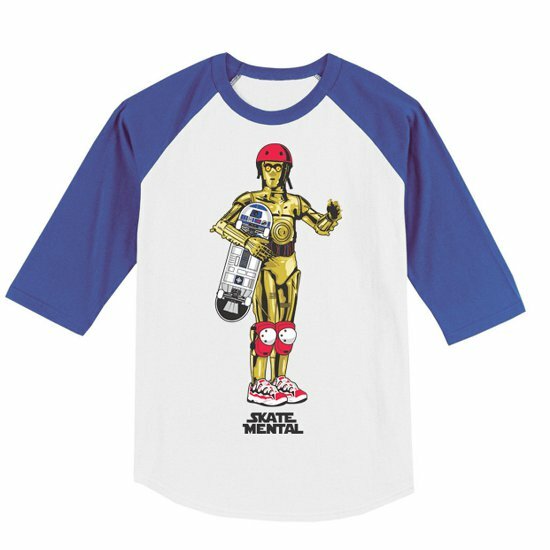 Hey, it’s C3PO wearing all the skating safety gear and holding his board, which looks a great deal like R2D2, which is either cute or horrific. Cute if he got his best buddy’s likeness on his board, or horrific, if he got R2 melted down and re-shaped into a metal board. Whatever the case, you can’t deny, ol’ C3PO has some serious flair. His style is impeccable with matching red helmet, knee pads, and shoes.